Hi there! I hope you are having a wonderful day! One of the questions I get most often goes something like this ” I have 23 different inks and I have no idea which ones to use, I don’t want to ruin it!” or “which jouraling pen should I buy?”, over the next couple of weeks I would like to take you through the different tools I use most often in my bible and tell you the difference between each type of supply. 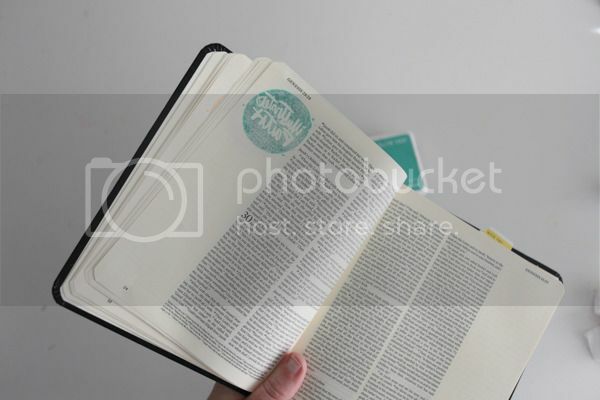 One of my FAVORITE things to do in my journaling bible is stamp, and with stamps you need…. INKS!!! Inks can be overwhelming for people, especially those new to this art form so I wanted to take you ink pad by ink pad and show you the difference between the different types of inks you are going to see on the shelf when you walk into your art supply store. Before we start I wanted to say I LOVE all these ink pads (that is why I own them!) 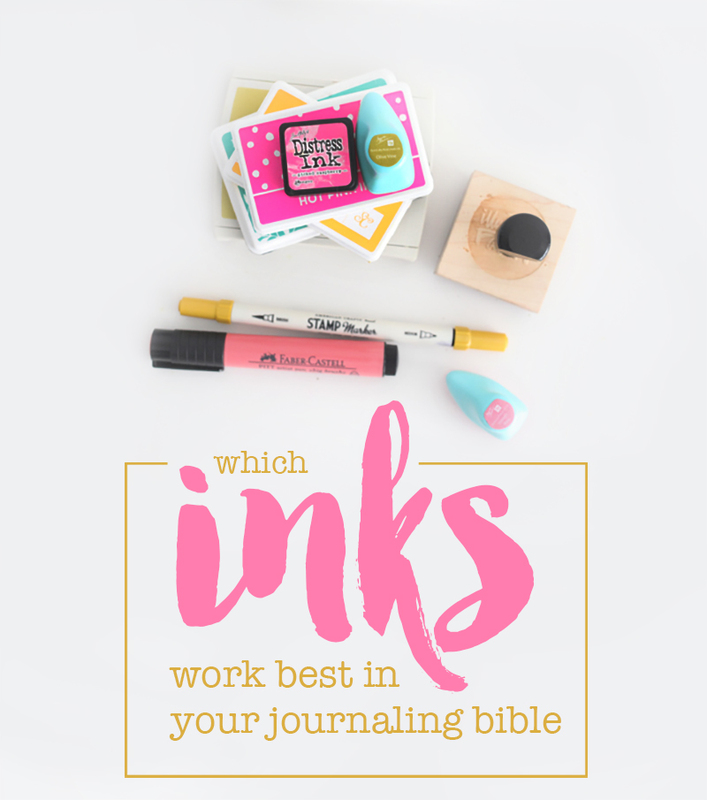 but not all of them work well in the journaling bible. Some of the dye based inks are my favorites for making cards, etc. I also wanted to let you know that I am using affiliate links in this blog. That means that if you order the inks on Amazon I receive a small percentage of your sale, and we use that to keep this site up and running so THANK you so much for supporting Illustrated Faith!!! In each of the photos below I will show you the front side first and then the back side with any bleed through or shadowing. 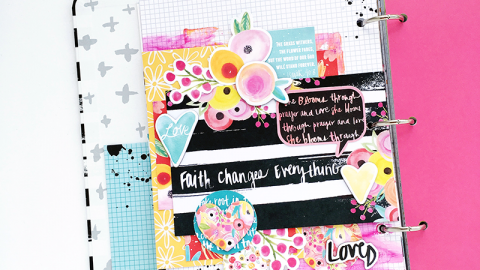 The first ink we are testing is from Stampin’ Up ink! This is a water-based dye based ink. 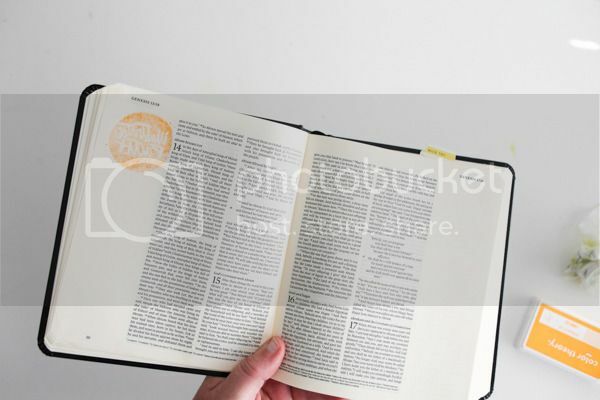 As you can see from the photos the ink is very wet and soaks through the page a bit. Sometimes I don’t mind this (because I love the color so much) and if I am stamping something like a flower, and it will look pretty from both sides I just run with it! Ok, next up is Color Theory by Studio Calico, again this is another dye based ink with yummy colors, but just too much dye for our delicate pages! 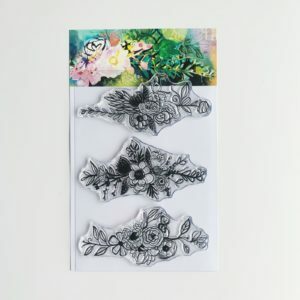 This is a unique ink, they are called stamp markers and they are made by American Crafts. 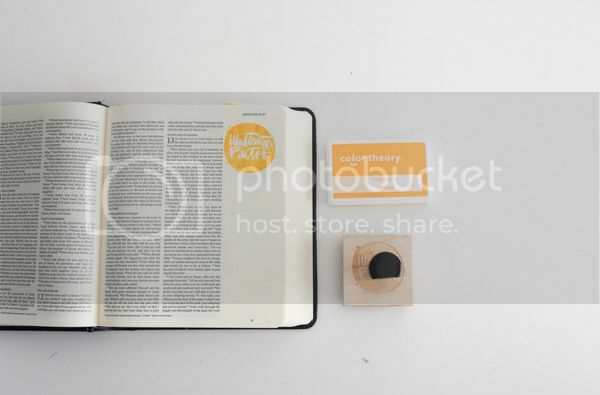 Essentially you are just going to color with the marker on to the stamp and WHALA…. 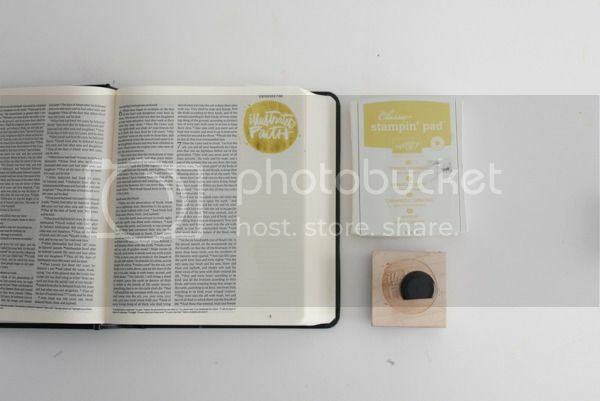 you have a beautiful stamped image. What is fun about this process is you can use several colors on one stamp! I was happy to discover through this process that these work BEAUTIFULLY, I love that they are markers and all the fun colors they come in! You can pick these up on amazon and here is a link to my favorite colors! 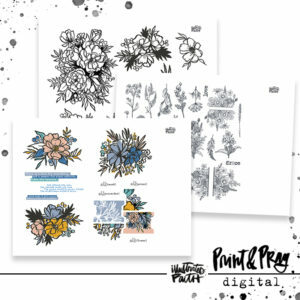 Hero Arts Shadow Inks are super fun to play with but they are also a dye based ink, and as we now know this is a no go for our books if you are looking for a clean stamped image with no bleed through. 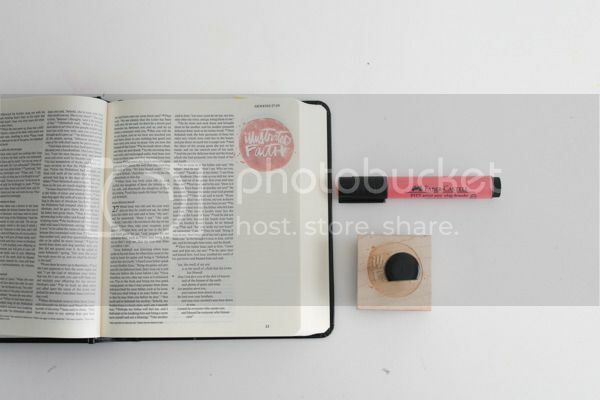 Prima chalk edgers are my latest obsession when it comes to creating in my bible. 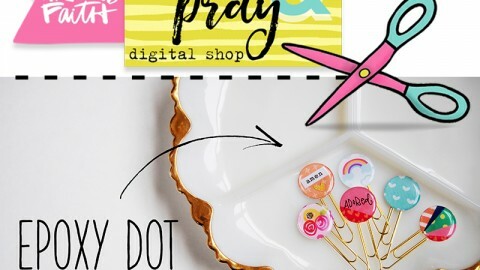 I love all the colors they come in, how tiny and cute they are and how well you can use them over the text without covering up the words. Because they are a chalk ink they also sit right on top of the page and don’t bleed through. This is another product you can pick up on amazon and here is a beautiful set with colors I personally use over and over again! Here is my confession to you, this is my favorite ink color ever! 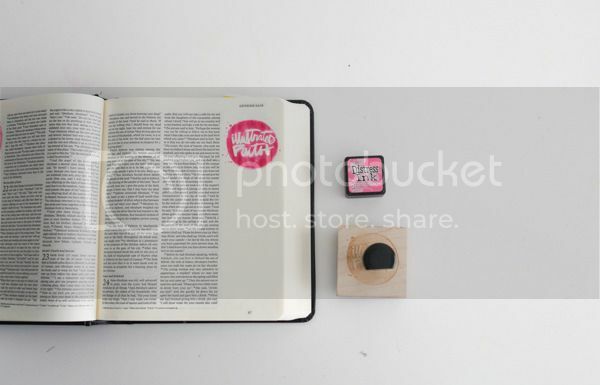 But because this Hot Pink Ink form Beautiful Mess is also dye based it’s just not ideal for our journaling bible. Seriously though, this color is so fun for a thousand other things! I love these tiny itsy bitsy inks from Tim Holtz but because of the unique qualities in this ink it was actually the worst of all the inks! So if you want to do some fun blending with inks these are of you put keep them off your bible pages. When I was watching Heather Greenwood’s video at Truth Scrap this weekend I had a light bulb moment! 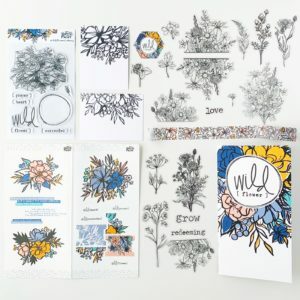 She was using her faber-castell brush pens ON HER STAMPS! YEs!!!! I know I have been professing my love for these for months and have never thought of this!!! I was happy to find that they stamp wonderfully! 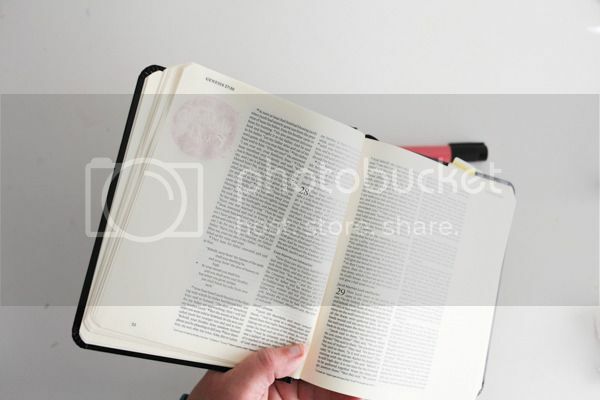 When you turn the page over you will notice some shadowing but no bleeding. To me shadowing is normal. If this page had an image that was printed there and nothing on the back you would also experience this shadowing. Needless to say I will be buying a couple more colors in these wonderful pens! I just threw these in my cart , yay for PRIME, am I right?! Heather will be back tomorrow for a more in depth tutorial on these fun pens so make sure to come on back for that. I saved my favorite for last! Staz-on is my favorite!!!!!! I love the black especially it’s just perfect for this use! I will tell you that some people don’t like it because it will stain your stamps. My thought is that my stamps are for using and I don’t worry about them staining, it’s not going to come off on your other projects. 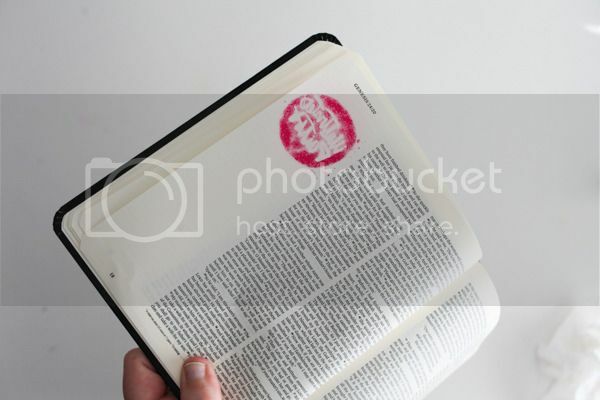 Another thing I must say here is that when you first get the stamp pad it may be a bit “juicer” than mine is now, and if that is the case just practice on a back page and play with how much force you are pressing the stamp into the page with. I love using black ink for stamping and then using paints etc for the color! As you can see you are going to want to stick with your pigment based inks (like Staz-On), india inks (such as the faber-castell pens) and the chalk inks if you are trying to avoid the bleed through. I would also like to remind you to HAVE FUN and if you get a little mistake it’s not the end of the world, I promise! You are going to cover that back page at some point and you will never even be able to notice! Have fun, enjoy the process!!! Thank you so much for stopping by, and I hope I answered a couple of your questions!!! 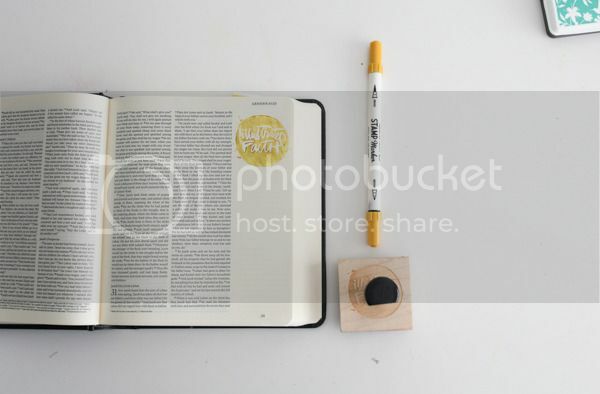 We have several more of this series in the works including journaling pens, and paints. Please let me know what else you would like to see a comparison of and we will strive to answer your questions! Have the most fabulous day! 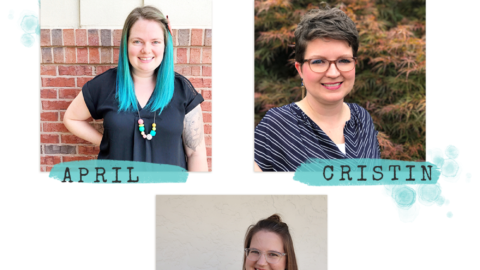 Help Us Give a Warm Welcome Here at Illustrated Faith! 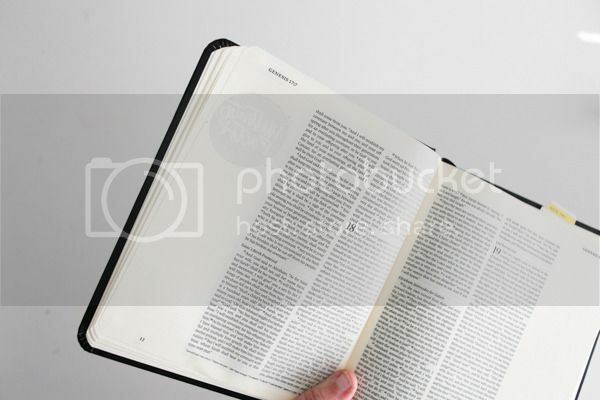 Debby Schuh | How to read and pull main ideas into the margin. 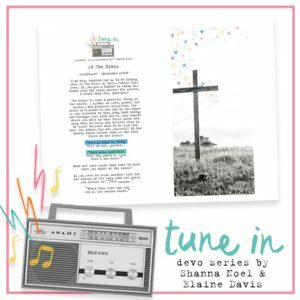 Join us for Revival Camp 2017! 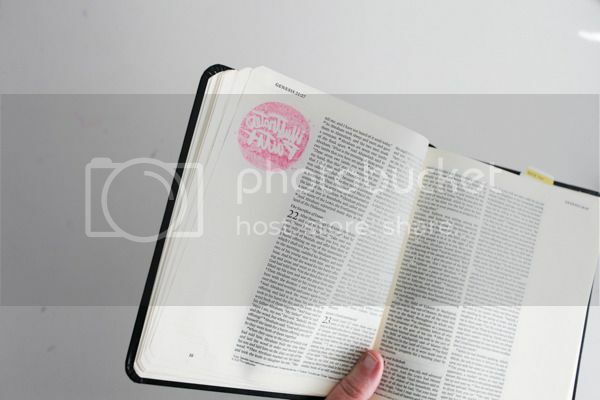 A Free Online Bible Journaling Workshop! Thank you so much for the tips! This is very helpful for me as a beginner. Have a blessed day! Thanks for this! 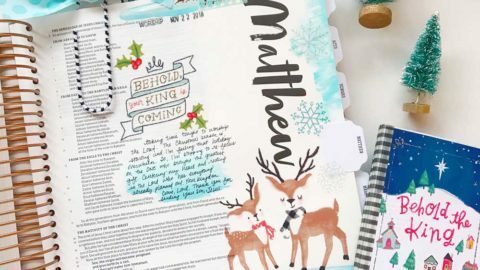 I’m new to Bible Journaling and am just so excited! Thank you so much for this walk-through of the inks! Perfect! 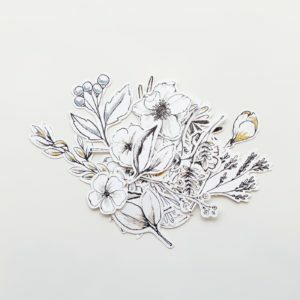 I have tons of supplies for card making, yet the only thing I have that you suggest here is Stazon. I get to go shopping! Woohoo! The ole Amazon Prime cart is getting filled with goodies! Thank you for sharing and I look forward to more posts like this one! 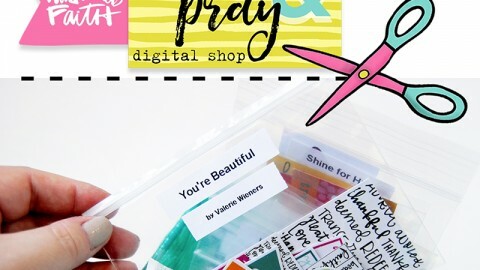 Awesome post Shanna and so incredibly helpful! Wonderful! Truly. I am so excited about this new website too by the way. Great information! Thanks so much for this series. 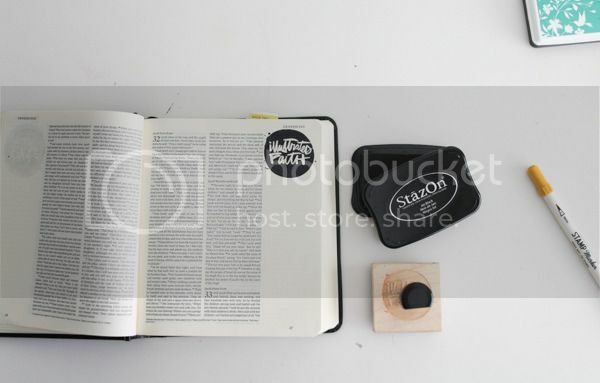 I just got my journaling Bible and need to know the best products to use. wow thank you so much for this clear article. WOW!! Thank you so much for this. I have most of the inks you used and just haven’t tried them. I now have some Prima in my Amazon cart. Ready to click buy now. Thank you for this wonderful place. Thank you for this! I was so worried about ruining the pages but it all makes sense now! Thank you so much, Shanna. 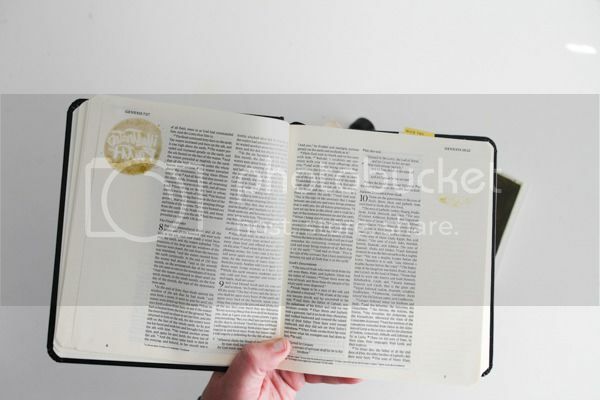 I have been searching for the perfect inks for my bible. I gotta get me some of those FC Pitt Markers!!! Love this post! Have you tried the Faber castell gelatos? YES!!! I love them too! I was trying to decide which section they go in. Is this Ursula from SC? Thank you for all the photos! 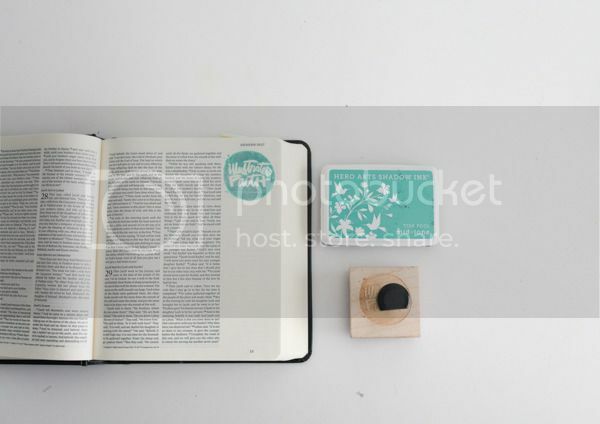 I’d love to buy an Illustrated Faith Stamp, are you going to sell them? Love all your posts! So informative and fun! 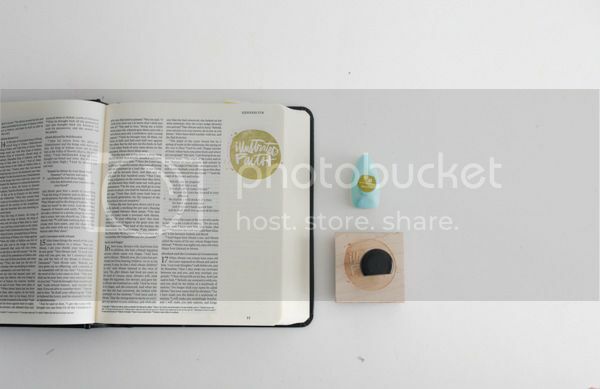 I have my journaling Bible and it is just waiting to be read and decorated and prayed upon. Was curious. In your supply list you mentioned alphabet stamp set. I know of course Michaels is a go to place, but I actually haven’t seen the ABC set there. Do you have one you recommend on Amazon? Thanks! They can be tricky to find, can’t they? Here is a fun on Amazon! I love this company. Hi! 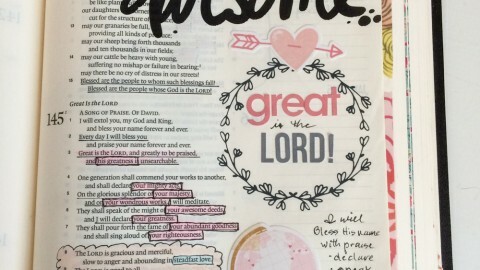 I am just getting into Bible Journaling and am super excited to really create in my Bible! 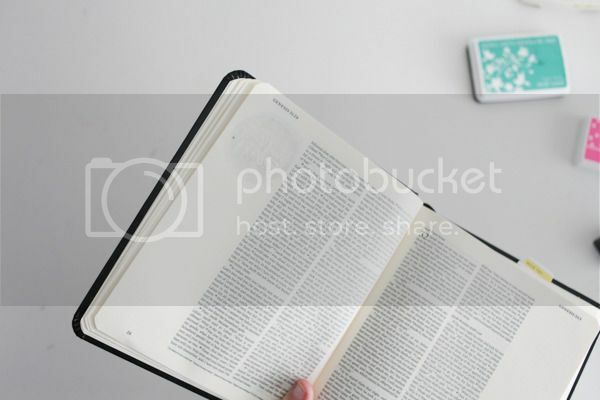 I think that it will really help me connect to the word! I was about the purchase the chalk inks via amazon when I noticed the (unfortunately awful) reviews on them. I looked at all the different sets and it seems that the reviews all mention the same “negative” thing- the pads/rubber falling apart!! :-( I definitely don’t want to spend my limited funds on them only to have them fall apart on me. Have you experienced this when you use the chalk inks? Hi there Amber, I personally have not experienced this except for one after 3 years. That being said I am not sure if they have changed them since I purchased mine several years ago :) Good luck! 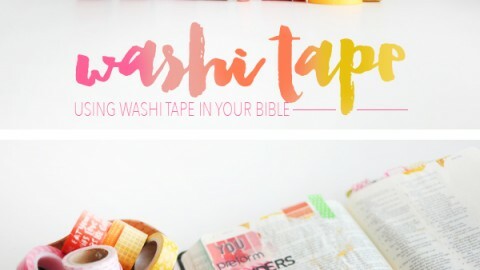 how well does this staz-on ink work on Washi Tape? 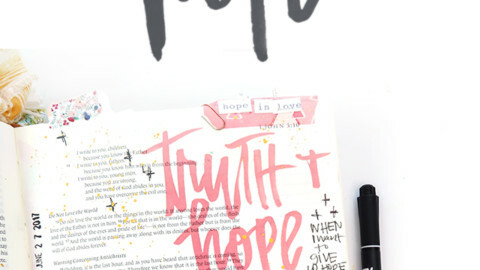 I have a huge collection of stampin’ up brand inks. I have not dug them out of the closet yet but am getting ready to. I am thinking that ‘stamping off’ some ink will be a useful technique to prevent as much bleed through. Thanks for all the info and comparisons! 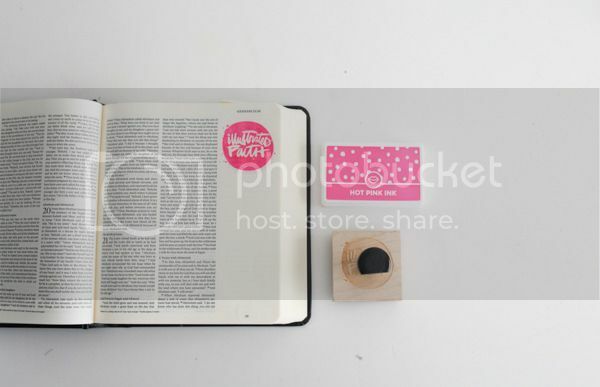 I haven’t stamped for a long long time but knew there was a reason I had not gotten rid of all those ink pads. What is you use gesso first? Will that stop the bleed through?